In this companion to the Caldecott Honor and Coretta Scott King Award–winning Trombone Shorty, join a scrappy young musician named Shorty on a tour of his beloved New Orleans. After letting his band down by missing rehearsal, Shorty has some serious questions about what it means to be a leader. He hits the streets of New Orleans to find some answers and soak up inspiration. Along the way he’ll meet street musicians, a favorite restaurant owner, and the famous Mardi Gras Indians. Each has some NOLA-bred wisdom to share with Shorty about being an artist, a leader, and a friend. 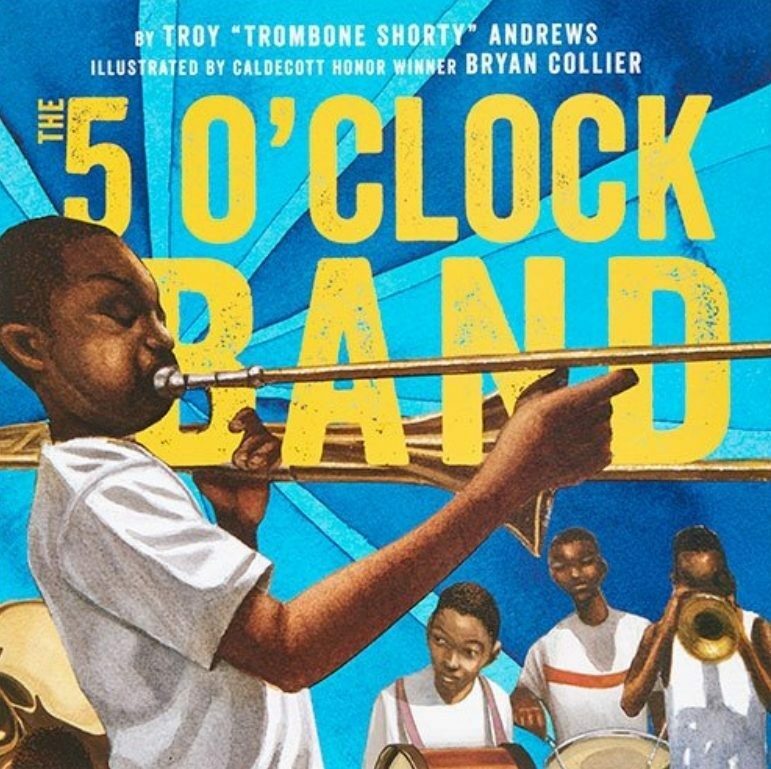 In The 5 O’Clock Band, Troy Andrews has crafted another unforgettable love letter to New Orleans illustrated by the incomparable Bryan Collier.